This story originally appeared at MissouriWrestlingRevival. Just two months after he lost the MMWA Heavyweight Championship to the 2013 St. Louis King of Cable winner “Da Bomb” Brian James, Brandon Espinosa is once again the champion. 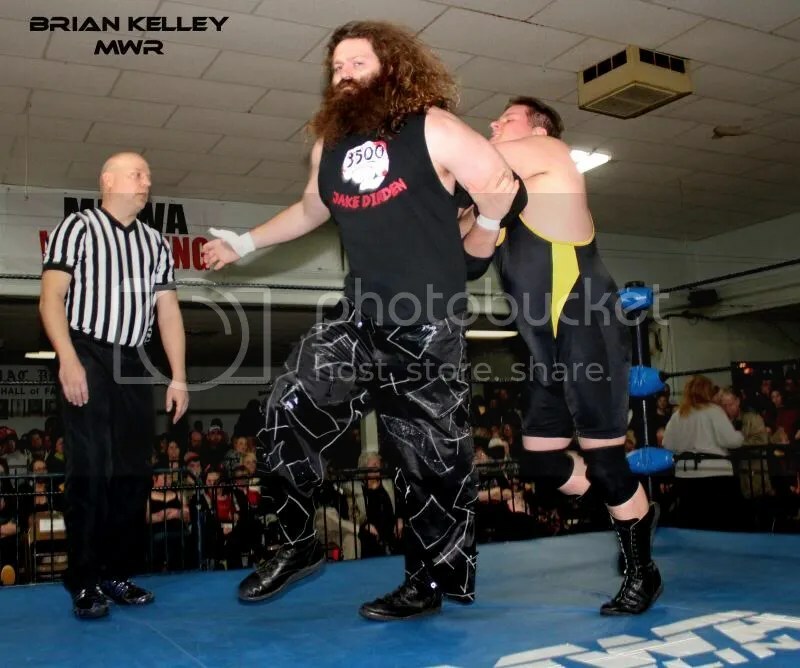 The details of the treachery can only be explained by the two conspirators involved, but neither Espinosa or, the 2014 MWR Wrestler of the Year, Jake Dirden are talking. 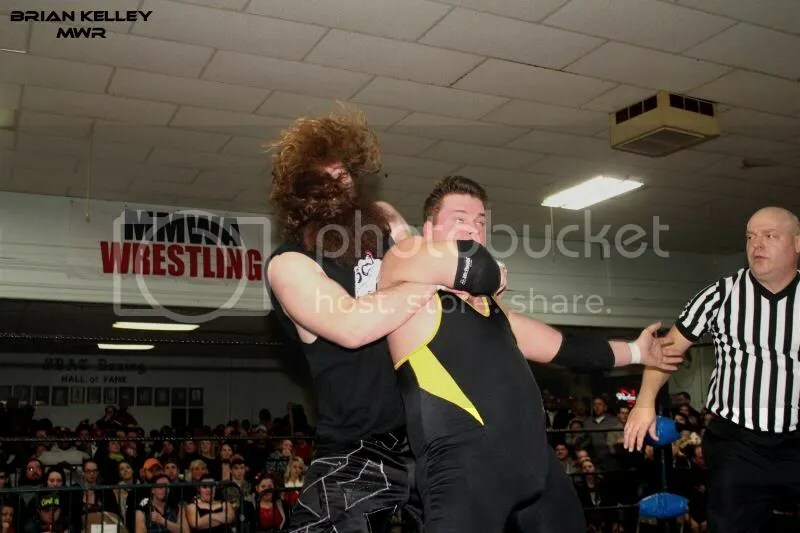 The night started out with the biggest crowd in the history of the historic South Broadway Athletic Club as 625 fans came in from the cold for the red hot action. In today’s MMWA you never know what will happen, as was the case when Commissioner Jim Harris informed Lynn Mephisto that Lenny had a match that evening against Harris’s hand-picked opponent. You couldn’t tell if the fans or Mephisto were more surprised when Dirden marched to the ring. Mephisto had been on a roll at the SBAC and looked to have Dirden in trouble. However, Dirden was just too much to handle as he applied the Asiatic Spike for the tap out. As the crowd celebrated, Espinosa came into the ring to attempt a post-match double-team, yet it would be for naught, as Dirden turned the tide, forcing Espinosa and Mephisto to retreat. It is amazing how fast happiness can make a U-turn in no time. That is what happened when the James-Espinosa match ended. 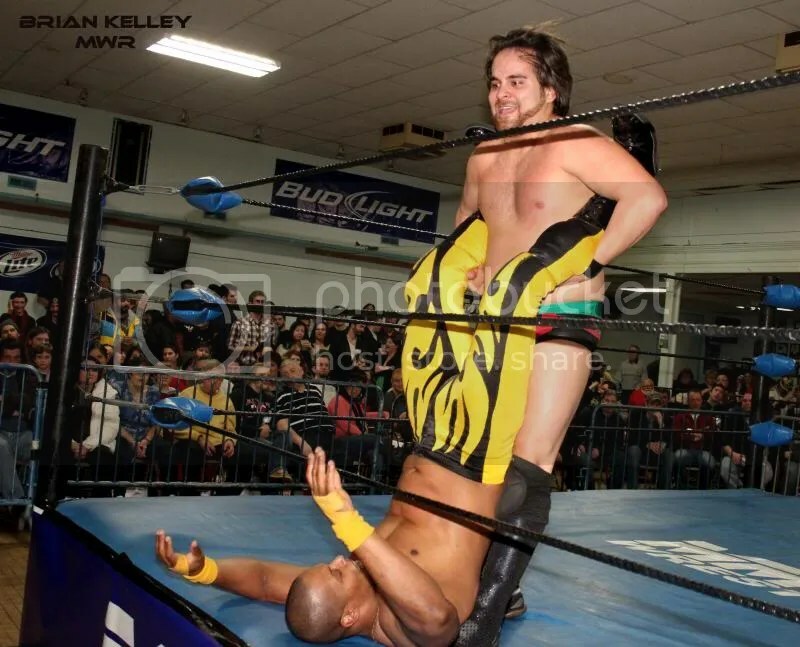 With Barackus, Mephisto, and Brandon Gallagher suspended (Mephisto assisted Gallagher in beating down Gary Jackson), it seemed as if Espy was all alone during his chance at the MMWA Championship. When and how did Espinosa get Jake Dirden to assist him in regaining the MMWA Championship? We may never know, but once again, Espinosa has power at South Broadway and Jim Harris knows that he will have to be at the top of his game to outsmart Brandon Espinosa. 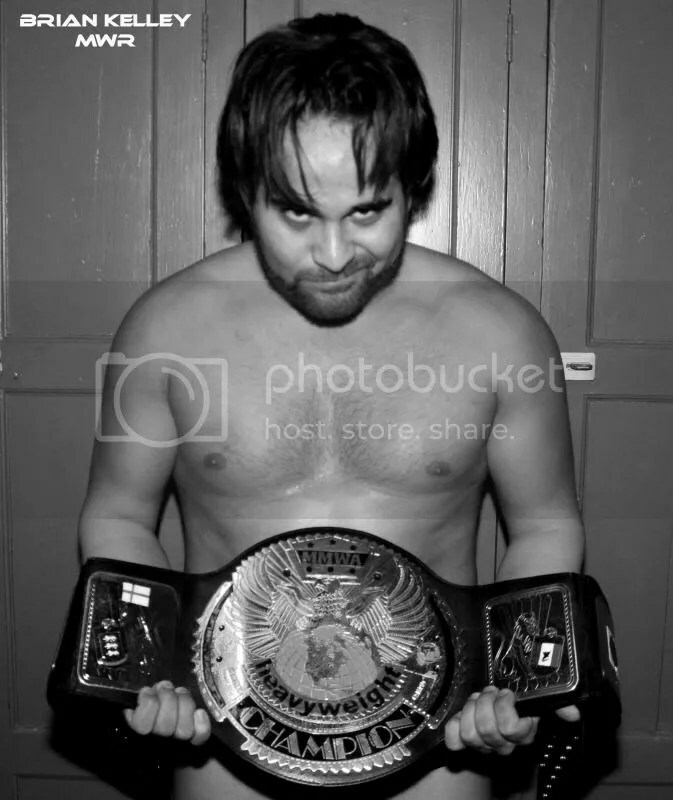 The big night of new champions also included “Big” Dave Osborne capturing the TV Championship from “The Enforcer” Jimmy D. Ace Hawkins defeated Andrew Wilder for the MMWA Junior Heavyweight Championship as well.